Uses: This website allows you to create your own virtual classroom or educational space with an almost facebook like setup. You can post tests/quizzes, assignments, create groups, surveys and more. Looking to take education beyond the regular classroom, definitely check it out. 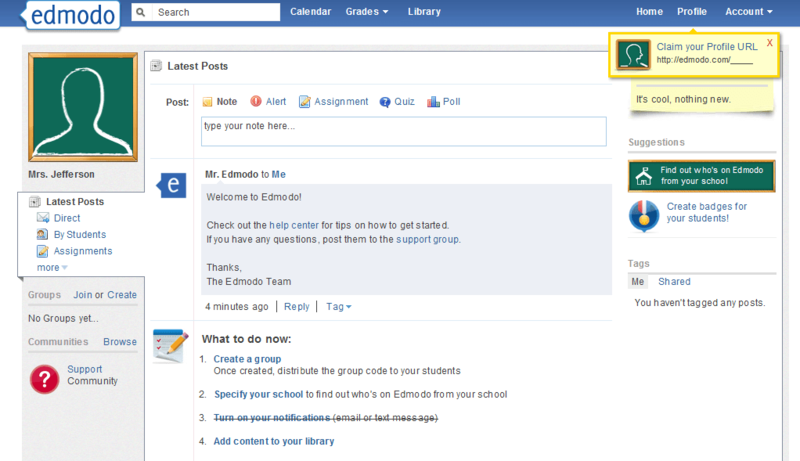 I am playing with Edmodo before introducing my students to the page. Come find me!